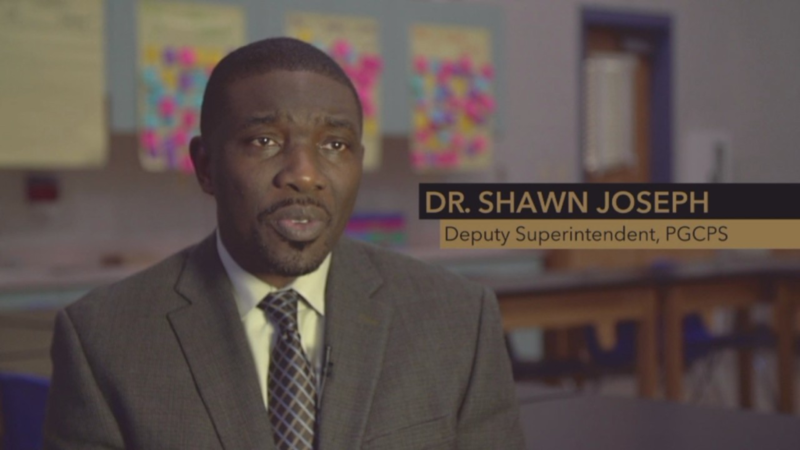 NASHVILLE, Tenn. (WTVF) — Metro Schools Director Dr. Shawn Joseph now finds himself facing a vote to potentially terminate his contract a year before its scheduled expiration. In fact, NewsChannel 5 Investigates has delved “deeply and thoughtfully” into various allegations against him, finding some not worthy of pursuing and discovering serious questions in other cases. In November 2017, a Metro Nashville Public Schools employee filed a sexual harassment complaint against longtime Joseph friend, Mo Carrasco. The administrator had previously worked with Joseph at two districts in Maryland. Four months earlier, school board member Amy Frogge had informed Joseph that there were allegations from an unnamed victim against Carrasco. But instead of directing MNPS Human Resources to investigate, as required by district policy, the director went directly to his friend. That was confirmed in an email from Carrasco to human resources. A month later, a John F. Kennedy Middle School employee reported that principal Sam Braden had tried to coerce him into sexual acts and threatened his job. HR manager Scott Lindsey attempted to put Braden on administrative leave so the allegations could be investigated, but Joseph’s number two HR person, Sharon Pertiller, intervened to keep Braden on the job. MNPS claimed that Lindsey was using the wrong form. Still, the files show that Braden returned to his school and retaliated against the victim. Assistant principal Howard Jones then filed a complaint, saying he was facing retaliation for reporting the victim’s allegations to higher-ups. Joseph’s team still did not put Braden on leave. The district’s own files show that an HR investigation uncovered substantial evidence against Braden, including information that he tried to enlist employees in making up lies about the victim, allegations that he had hired a man he met in an adult bookstore that he frequented and a claim by the school’s bookkeeper of financial improprieties that needed to be audited. Science teacher Sonji Collins filed a separate sexual harassment complaint against Braden. Again, Joseph’s HR department did not place the principal on administrative leave. In another case, Joseph promoted elementary school principal Lance High knowing he had a previous harassment issue. High later was the subject of another complaint and resigned. When NewsChannel 5 Investigates began digging throught those HR investigations, Joseph did nothing to review his HR department’s handling of the cases. Instead, in a memo to the school board, he expressed concern that NewsChannel 5 “will report on information that was ‘alleged’” and promised to work to get state law changed so that the district could keep its sexual harassment files secret in the future. After the first story aired, school board members say Joseph continued to tell them there was nothing to the allegations and they should ignore the NewsChannel 5 report. It took pressure from board members to convince him to place Braden on administrative leave two days later. The principal decided to retire. Three of Braden’s victims later filed a lawsuit that alleged that Joseph’s administration had a “policy and practice of ignoring complaints of sexual harassment, as well as interfering with investigations of harassment." So far, MNPS has paid $350,000 to settle those lawsuits. Howard Jones, who says he personally warned Joseph about Braden's behavior , has now filed a separate lawsuit for unlawful retaliation. The alleged victim in the Mo Carrasco case has filed a $1.2 million lawsuit against the district. Former HR manager Scott Lindsey has filed a separate lawsuit, alleging that Joseph’s team began retaliating after he uncovered damning evidence against Carrasco and after he attempted to put Sam Braden on administrative leave. Metro has denied the allegations. Under pressure from the sexual harassment scandal, Joseph convinced the board to give a $100,000 contract to Nashville law firm Bone McAllester to review his district’s HR practices. It is unclear how much MNPS has spent so far in defending those lawsuits. The HR report by Bone McAllester warned that the district now faces a morale crisis that threatens its ability to attract and retain employees. Lawyers noted that MNPS employees viewed Pertiller as "extremely divisive, dismissive and, in their belief, incompetent." It suggested that she be terminated, transferred or retrained. The report describes a meeting between Joseph and a group of principals who asked to meet with him to discuss hiring and communications issues. Joseph demanded that the principals “turn off their cell phones and other electronic devices,” apparently so the meeting could not be recorded, the report says. When they attempted to hand him a list of suggestions, Joseph “refused to accept the copy of the typewritten notes and asked that they all be destroyed at the end of the meeting" so they could not be disseminated. "The stakeholders stated that this meeting was demoralizing and the Administration was dismissive to the stakeholders present, who have many years of experience in the system,” the report says. “In fact, it was expressed that the morale amongst these principals was as low as they could ever remember." Some school board members have complained that Joseph has never addressed allegations about his conduct or concerns about Pertiller. He has not publicly asked the board for such guidance. Joseph also hired friends or friends of his top staff, paying them above the district’s approved pay scales. Cumberland Elementary principal Carolyn Cobbs, who has a master's degree and gets paid a base salary of $120,000 a year. The official schedule shows her pay should top out at $108,103. In fact, several longtime elementary principals with doctorate degrees are capped at $111,376. A longtime MNPS administrator has filed a complaint and is threatening to sue the district. Failing to fix those kind of disparities, Bone McAllester warned, "would be unconscionable." Joseph has not indicated that he has any plans to follow that recommendation. Joseph pushed his team to sign two no-bid contracts -- totaling $1.8 million -- with Performance Matters, a Maryland company with which he had previously done business. He had previously appeared in a promotional video for the company. Emails show Joseph began discussing a potential deal with Performance Matters two weeks before he officially started on July 1, 2016, as director of schools. Performance Matters suggested “piggybacking” on a recently awarded Shelby County contract to avoid bidding. One of those contracts - $1 million for software used to track student achievement - was awarded with no bids, piggybacking on an out-of-state contract. That is prohibited under state law. Joseph has blamed a procurement official for the error. MNPS also signed a separate $500,000 contract with another company to write the questions for the student assessment software. But, after signing those contracts for $1.5 million, Joseph’s team did not require schools to use the software. MNPS claims it has no usage statistics, but admits usage was likely low. The second contract - $845,651 for software used to track professional development training for teachers - was awarded to Performance Matters, piggybacking on a Shelby County contract. Emails show the district could have continued to use its existing system for a much lower price. 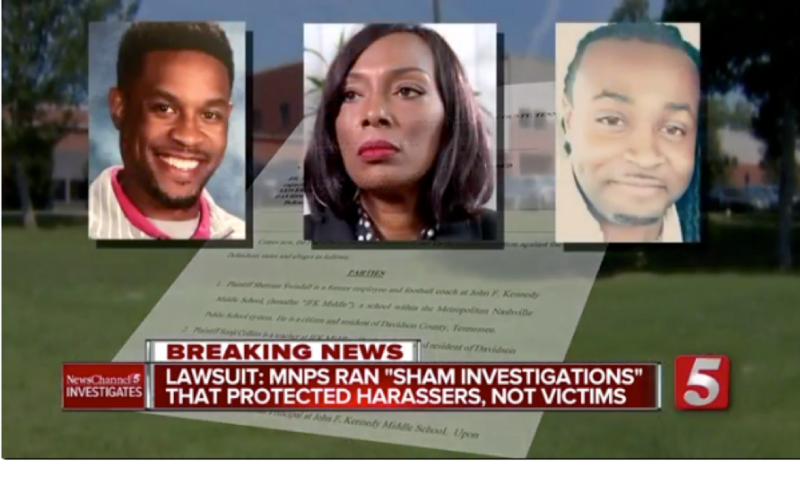 MNPS admits it spent millions of dollars using piggyback contracts with favored vendors without checking to see whether they could get a better price – a practice that Metro Finance Director Talia Lomax-O’dneal has said does not represent best practices. In another deal, Discovery Education -- a Maryland company with ties to Joseph and his team -- was given the inside track for an $11.4 million contract for science and technology curriculum. The person who headed that program says MNPS worked with that company for months to develop a plan, used that plan to develop a Request for Proposals, then put the contract out for bids, giving competitors just four weeks to develop a counter-proposal. MNPS says that was not illegal. A Metro audit also confirmed other consultants were hired without following bidding or contracting procedures, including a man with no formal education training who was given contracts for $105,000 to advise schools on standardized testing. He had previously worked with Joseph in Maryland. In fact, emails show Performance Matters first pitched the idea of using the Shelby County contract to avoid competitive bidding on June 13, 2016. That contract with Shelby County wasn’t signed until June 30, 2016. “Any board would understand that a CEO who has a track record of success in getting results will bring with him or her knowledge of services that have been successful,” Joseph said. The director did not address the fact that his administration spent $1.5 million to implement Performance Matters’ student assessment software without requiring schools to use it. Emails show that then-Purchasing Director Gary Appenfelder informed Joseph’s team that there was plenty of time for competitive bidding. That suggestion was ignored. Neither Joseph nor anyone on his team made any effort to correct the current purchasing director’s suggestion that there had been no time for bidding. Teachers all across MNPS describe “chaos” in the schools as a result of policies put in place by Joseph to reduce suspensions, especially for African-American students. They say Joseph implemented the policy change without them giving the resources they need to deal with troubled children. "Students are in school and they are disruptive and they are running through the halls and they are using profanity and hurting other students," said elementary school guidance counselor Constance Wade. "You reduce discipline because we cannot suspend students. But by the same token, you've kind of opened up a Pandora's box because students aren't always feeling like they get consequences so they continue." Joseph himself acknowledged the problem in a recent meeting with support workers. "I do see and hear of the escalating behaviors," he said. "I think we are seeing more aggressive behaviors than ever before." Joseph did not accept that his own policies might have anything to do with it. Instead, he blamed Nashville's increasing cost of living for increasing stress on families. In the fall of 2018, during in-service training for bus drivers, Joseph was captured on an audio recording, hinting that they should vote against vice mayor candidate Sheri Weiner. Weiner, who was acting vice mayor and running for election to the seat, had voted against a proposed property tax increase that would have given more money to schools. "There was a tie. There was a tie, right? And then who breaks the tie? Is it the vice mayor? Yeah, it's the vice mayor," the schools director told the bus drivers. At that point, several drivers exclaimed: "Oh!" Joseph continued, "We don't have to say it. We don't have to say it. There was a tie. There was a tie. There was a tiebreaker. All you've got to do is do a Google search, and search it. You'll figure it out. Tennessee’s “Little Hatch Act” makes it illegal for educators to engage in political activity during work hours or on government property. Tennessee State Board of Education staff have recommended a one-year suspension of Joseph’s state license for failure to report teacher misconduct cases to the state. The State Board identified a dozen cases that Metro Schools failed to report. State law puts responsibility on the director of schools. Joseph has argued the expectation is unrealistic, especially in a school system with 11,000 employees. His attorney promised to wage an aggressive defense. Since his arrival in Nashville, Joseph has used school transportation employees to chauffeur him around town – including for doctor’s appointments and early morning breakfasts on his way into work. The person usually assigned to that duty was a school bus driver. The director has faced criticism for pulling a bus driver from the streets at a time that the district faces a bus driver shortage and children are often left waiting for an hour or more in the evenings for a bus to take them home. After almost three years, Joseph finally committed to using the bus driver only when he is not needed to drive students. Shortly after Joseph’s arrival in Nashville in July 2016, there were questions about the qualifications of some of the people he had brought with him from Maryland. In one case, Joseph put a woman in charge of overseeing other principals even though she had never worked a full year as a lead principal anywhere. Her previous principal job ended in controversy after six months. Another woman, put in charge of teacher training, had been in sales just five years before and had no classroom experience. NewsChannel 5 Investigates submitted written questions about the employees’ qualification, but an email later showed that Joseph directed his staff not to answer those questions. "I don't want us to respond," Joseph wrote. "If he does a story, we will follow up with a very direct statement towards his conduct...period."